Losing weight is the dream of many ladies and, of course, diets are the primary things that they opt for in order to achieve their aim. For some of them this aim seems to be out of reach at times and they fall into despair trying out the big variety of diets and procedures for finally losing weight. Still, what we are going to speak about right now might seem too unreal and mythical, but no matter how fantasy-inspired it may seem, we are going to speak about the ways of losing weight without any dieting or going for special regimen. And the solution does not run through the stomach, it goes though the brains! Discover the easiest methods on how to lose weight without dieting and enjoy long-lasting perfect results! There are very many cases when the absence of the desired results leads those who experiment with them to despair and questions about their failure. Still, there are a number of reasons and mistakes that they make during the process, which further form the bases of the absence of improvements. It even happens so that after some comparative improvements, the good results get lost again, and the exercises, the special diets and the incessant control of every single detail have to be started over. So here is the list of the main problems that occur during the process of losing weight causing the appearance of such problems and mistakes. The major and the most widespread problem that most of the ladies constantly have is waiting for quick if not immediate results when going for a diet. But still, the truth is that apart from being quite a time-consuming and difficult problem, losing weight may also turn out to be useless because of the repetitive weight loss, which may occur in case of ceasing to follow the proper routine after losing a few kg-s. You need to be really patient to get the results you want, but also be aware and attentive of the further list of things that needs to be done after. The next thing that should not be done is waiting for stable and constant results through the whole process of keeping a diet. It’s quite widespread that many of the ladies complain that at first the weight loss was significantly greater and more noticeable than later and because of not seeing any improvements they just quit the diet and think it’s not effective enough. However, the truth is that they just see the primary results without giving themselves some time to see the slower happening further improvements. Whatever they see at first is only the first part when the excessive liquids and elements are put out of the body and the burning of the fats begins. The latter may take months or sometimes even years, but persistence and will are what one needs to be able to overcome all that. The resources of the elements that are kept in the body can’t be removed from the body so easily because the body itself tries to preserve it. Hypnotization of the weight is one of the most frequently repeated and favorite activities for those, who want to lose weight. The drama begins when those who want to lose weight either go hyper-active because of the lost kg-s or get desperate because of those just gained. Still, these constant checks are by no means a way of controlling everything and only blur up the image further. The reason is that every single detail is important here because even depending on the hour your checks might show different results. Of course, this doesn’t mean that you shouldn’t weigh at all, but the frequency really needs to be changed. For instance you may choose to weigh yourself once in a week or even in 10 days in order to realize the full image of the situation. This will give you an opportunity to analyze the daily routine and to find out the perfect solution and the perfect types of activities. Quitting the diet is just as important as taking it and keeping it throughout the whole time. The thing is that most of the times the diets that are meant to secure the quick weight loss are composed of some weird food combinations, which are almost impractical for every day and you really start looking forward to quitting that diet. But what you need to remember is that after going back to your usual ration you risk gaining as much weight as you’ve lost or even more. So the technique allowing losing weight without any diet is beneficial for that simple reason that there’s no need to go for conscious starving or consumption of ordinary food every day. 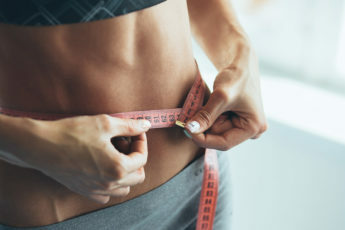 However surprising it may seem going for diets or trying to lose weight without them generally has some temporary goals meant for a certain occasion or phenomenon, which is just a short term objective and does not provide the owner with clear ideas about the range of things that will come after it. So it’s really important to know for sure what your long-term orientation is and how you imagine your future like that. If you feel that you will become more confident and self-assured, then you really need that. This is one of the most significant factors for building a successful career and for achieving new heights in life. So changing the way you look and feel may change your whole life. Thus, regularly or even too frequently checking the kg-s and trying to find out the exact figures of success or failure is definitely not what you need to have the desired effect. What you need to do is change your attitude towards the food you eat and to just start counting the calories. When counting the number of calories you consume daily, you just need to subtract some 500 calories from the overall number, not doing that at once but gradually letting the body get accustomed to the change. So it’s not all about starving, it’s about choosing a correct way of eating with the correct food and meals and what’s most important with the correct proportions. The quick diets do not allow the organism to get accustomed to the radical changes and the kg-s return just as quickly as they were gone. The very first thing that you need to do is to exclude such foods as baked products and dishes, fast food, etc. from your daily ration thus avoiding the influence of such products, which presupposes the feeling of hunger all the time, the reason of which is the increased level of insulin in blood such food causes. Thus in order to cut down on such food you will need some 3-5 days plus the psychological trainings. Instead of such food you may use options, which are rich in cellulose, since the latter gets digested longer and doesn’t let the feeling of hunger come back soon. In addition, we also have some good news since following the correct ration for losing weight does not exclude eating after six o’clock, simply fixing the hour of the last meal some 2-3 hours before the sleep. The importance of water is just as significant here as well. This is one of the most essential and basic components necessary for metabolism and you really need to follow to get enough of water daily to be able to prepare the basis for the following processes. In addition, you shouldn’t overdose with water either, since drinking 2-3 glasses of water at once just because you have forgotten to drink water during the day is not a good idea at all. If water is taken frequently with little proportions it’s immensely useful but if it’s taken at once and with quite a big amount, it only harms the organism. You may use reminders of any type for fixing the hours of drinking water in order to have everything balanced and correct. Physical exercises are just as important and you really shouldn’t overlook this part. Even if you don’t have time for fitness trainings, you may do some exercises at home, but secure the physical load on the organism. You may just walk the way to your workplace or go up the stairs instead of using the elevator. Listen to Music! Especially Jazz! In the long run, the most important thing that you need to take into account when trying to lose weight is that you shouldn’t deprive your organism of the natural needs like hunger in any case. If you want to eat at the very moment then you may eat, but not overdose with the amount eaten. If you feel that you may spend the day with limited proportions of food then you may create a fasting day for you based on fruits like apples, buckwheat, kefir, or watermelon. Suffusing your desires and wishes will only secure your good mood and self-confidence thus preventing the stresses and the other types of problems. Finally, you may also accompany the regimen changes with the cosmetic means and procedures including the homemade options, which will also work well for the condition of the skin and its general health. The regular use of such treatments will only contribute to the general effect. Still, in any case you need to consult the doctor before taking up anything. Trying to eat with small proportions from small plates is another option you may try out. Eating from small dishes and with small tools makes you brain think that it’s the normal amount of food consumed every day. The dark shade of the dishes is another thing we need to see. The classical music and other genres like jazz also have a positive influence on the overall success of the outcomes. So here was another range of diet tips that we would like to share with you, hoping that you will be able to create the exact regimen and routine for daily activities, which will secure the effective and great outcomes even without any special diets and treatments!